Where Can You Buy a GE 24 Inch Refrigerator? GE refrigerators, including 'slimline' models that are only 24 inches wide, are available in major appliance chains such as Lowes, Sears and Best Buy, and at local independent dealers. Individuals can visit GE's website and enter their zip code to find a list of dealers near their location. As of 2015, GE makes only one 24-inch wide refrigerator: a top-freezer unit with a single door that offers 11.55 cubic feet of storage space and is available in three colors. The model numbers are #GPS12FSHSB for Stainless Steel, GPS12FGHWW for White and GPS12FGHBB for Black. As with any retail product, availability depends on what a local store has in stock. If they do not carry the item in the store, many dealers and major appliance stores can make a special order directly from the factory. Due to its size and the delicate components inside, the GE 24-inch fridge is not generally available in online stores for delivery. However, many chain stores allow customers to place an order online and then pick up the item in store. GE previously offered a 24-inch bottom-freezer unit with the model number GCC12IAX. This item has been discontinued, but may still be available in second-hand shops. Where Can GE Refrigerators Be Purchased? What Are Some Refrigerator Home Repair Services? How Do You Take Measurements for a Fridge Replacement? How Do You Troubleshoot a Freezer That Is Not Cold Enough? 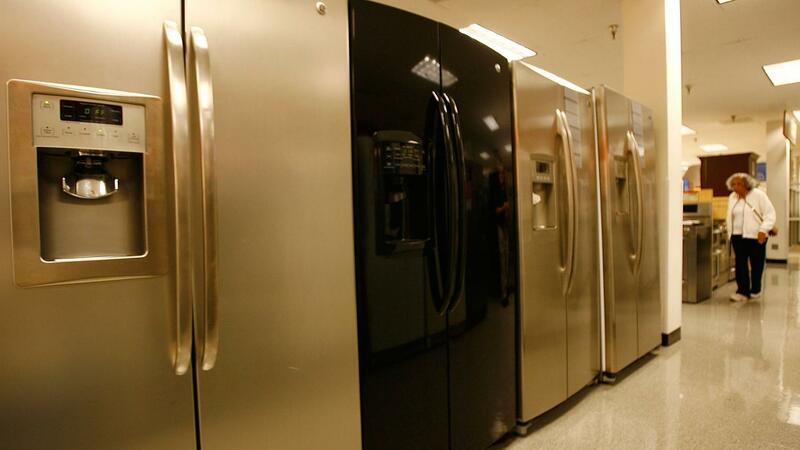 What Are the Top Five Brands of Refrigerators? Where Can You Find Reviews for Side by Side Refrigerators?